Like so many moms before her, Sian Kirwan Andreson rapidly tired of hauling heavy, soggy towels back from a trip to the beach or pool with her three kids. After discovering the lightweight Tunisian textile known as a fouta, she started her company Fine Foutas to spread the joy of these handcrafted, organic cotton beauties. The multipurpose textile can be used as a towel, a wrap, a baby blanket or a throw: any purpose a busy family can dream up, really! 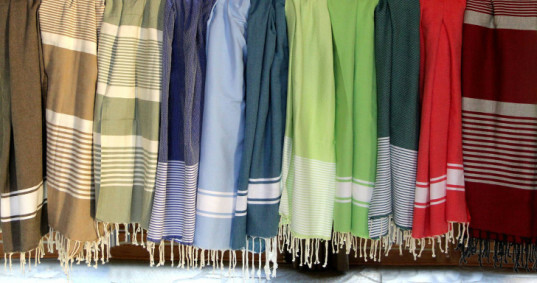 It was on a return trip to her childhood home country, France, that Sian noticed the colorful foutas (pronounced “foo-tahs”) being used as towels by super chic beach goers. She loved them so much she brought a suitcase full back to the US and shared them with family and friends. They were such a hit, she decided to turn them into an import business. Sian found a manufacturer in Tunisia and works closely with them to bring new designs and colors to the range on a regular basis. While using 100% organic cotton, the artisans’ hand-weaving techniques and colorfast dyes all remain traditional. 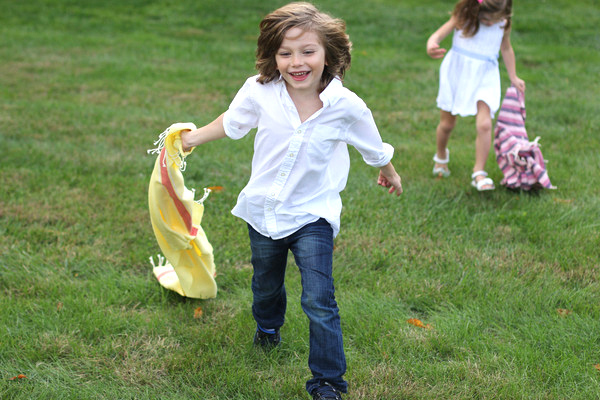 RELATED | FABELAB’s Dream-in organic blanket collection does double duty as costumes for kids! Foutas are lightweight and highly absorbent; better yet, they dry in a flash! No more beach bags full of heavy, wet towels. They also roll up tightly, making them ideal for travel for a family on the go. The Fine Foutas website has several styles and sizes to choose from, ranging from the child-friendly “Le Petit” at 55 x 27.5 inches (140 cm H x 70 cm W) and just $25, up to “Le Monte Carlo” at 118.11 inches x 78.74 inches (300 cm x 200 cm) and $145. Even the picnic-blanket-sized Monte Carlo only weighs in at 1.65 pounds. Thanks to the quality of the 100% cotton weave, foutas only get softer and more absorbent with use. Sian recommends washing your foutas twice in cold water before using them for the first time. 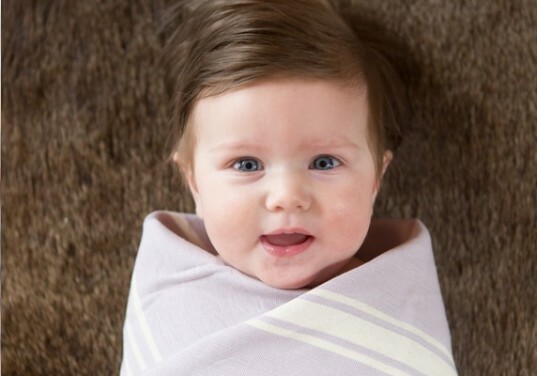 After that, their use is only limited by your imagination: they’re practical for baby, yet elegant enough for Mom to use as a sarong or a wrap for chilly summer evenings. And as Sian says: “Never again will you haul a heavy, wet, terry beach towel.” Happy summer! It was on a return trip to her childhood home country, France, that Sian noticed the colorful foutas being used as towels by super chic beach goers. She loved them so much she brought a suitcase full back to the US and shared them with family and friends. The foutas were such a hit, Sian decided to turn them into an import business. Sian found a manufacturer in Tunisia and works closely with them to bring new designs and colors to the range on a regular basis. Possible uses for foutas are only limited by your imagination: they're practical for baby, yet elegant enough for Mom to use as a sarong or a wrap for chilly summer evenings. Fine Foutas are handmade in Tunisia from 100% organic cotton, using traditional colorfast dyes. The Fine Foutas website has several styles and sizes to choose from, ranging from the child-friendly "Le Petit" at 55 x 27.5 inches (140 cm H x 70 cm W) and just $25, up to "Le Monte Carlo" at 118.11 inches x 78.74 inches (300 cm x 200 cm) and $145. Even the picnic-blanket-sized Monte Carlo only weighs in at 1.65 pounds. Thanks to the quality of the 100% cotton weave, foutas only get softer and more absorbent with use. Sian recommends washing your foutas twice in cold water before using them for the first time. Gelati anyone? The Portofino collection is inspired by the colors of an Italian summer. Foutas are lightweight and highly absorbent; better yet, they dry in a flash! No more beach bags full of heavy, wet towels.